Space IT Bridge covers various events in the “traditional” space sector if they touch or have an impact on the bigger Space + IT area. 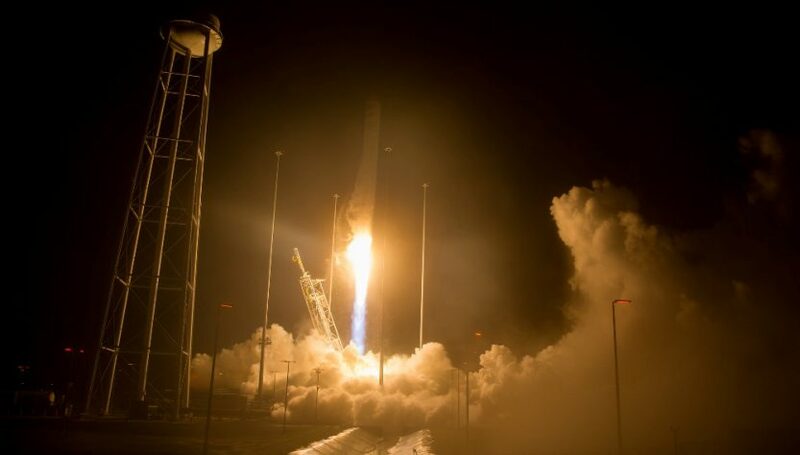 OA-9 successfully launched from the NASA Wallops Flight Facility on May 21, 2018 at 4:44 a.m. ET. The Orbital ATK Antares rocket left from Mid-Atlantic Regional Space Port pad 0A, successfully placing the “S.S. J.R. Thompson” Cygnus cargo vehicle into orbit 9 minutes later. The spacecraft is expected to rendezvous and berth with ISS on Thursday morning, May 25. The OA-9 launch carries commercial payloads among the one metric ton of research cargo it is bringing to the International Space Station (ISS), including nanosatellites for Spire Global and Analytical Space. Others on-board include a trio of weather satellites, including the RainCube Ka-band radar demonstration. Spire Global’s Lemur satellites have been a frequent flier on Cygnus missions. A company spokesperson says a total of 30 Lemurs have gone to orbit on Cygnus flights, with a total of 57 satellites in orbit today. This flight will deliver 4 satellites to a higher orbit above the space station roughly 30 days from now, after Cygnus has been unloaded of all its cargo and filled with trash for disposal upon reentry. Ultimately, Spire hopes get up to about 125 satellites in its constellation, with more slated to go up on a variety of launches, including future Cygnus supply runs. Analytical Space’s Radix satellite and the trio of weather satellite will be deployed from the ISS proper, via the Japanese JEM airlock and NanoRacks CubeSate Deployer. Radix is a pathfinder satellite for Analytical Space’s planned constellation of data relay satellites that will use a combination of in-orbit RF crosslinks and laser downlinking to quickly move large amounts of information from low Earth orbit (LEO) satellites.